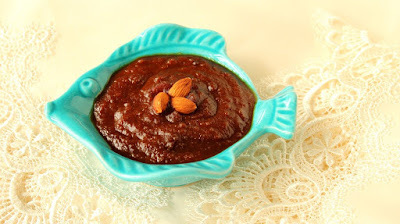 •Samanou is a kind of sweet which is prepared with freshly germinated wheat syrup, flour and sometimes cooked with walnut, almond and pistachio. 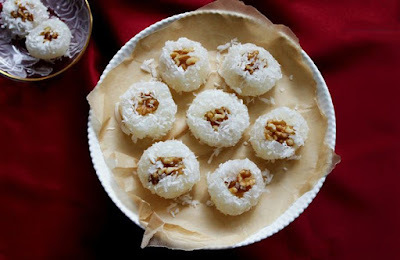 Samanou is one of the main sweets that served during New Year. •Dolmeh (stuffed leaves): a meal prepared with rice, ground beef, split pea and special vegetables and wrapped in leaves like grape or cabbage leaves. Integral parts of Iranian dishes are Rice and Khoresh, or “Lamb stew” which is prepared with meat, oil and vegetables. Chelo is rice served with oil or butter and eaten with kebab or other khoresh. Basloqh is a kind of traditional sweet prepared with starch, water, sugar, cardamom, coconut powder and butter, mostly in Azerbaijan. •Abgosht (Dizzi) is a delicious meal with meat, chickpea and beans and is served traditionally in restaurants. •Zulbia, which looks a bit like a multi stranded pretzel, and Bamieh are the most popular cookies in Ramadan,fasting month. 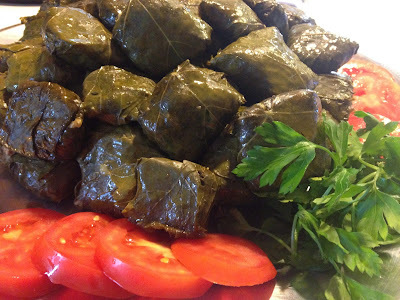 Moreover, some kinds of food are frequently prepared for distribution to the community as a charitable religious act. When a sheep is slaughtered for a special occasion it is common to give meat to all of one's neighbors, to give thanks for the fulfillment of a desire. Likewise, during the months of Muharram and Safar, communal meals are paid for by charitable individuals. 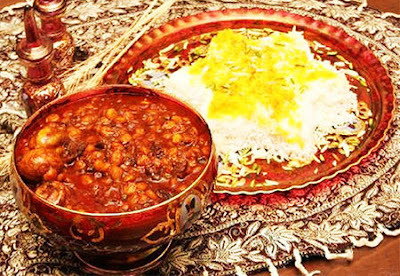 The most common food served on these occasions is a rice made with yellow peas and meat.Iran is home to some of the world's finest restaurants. 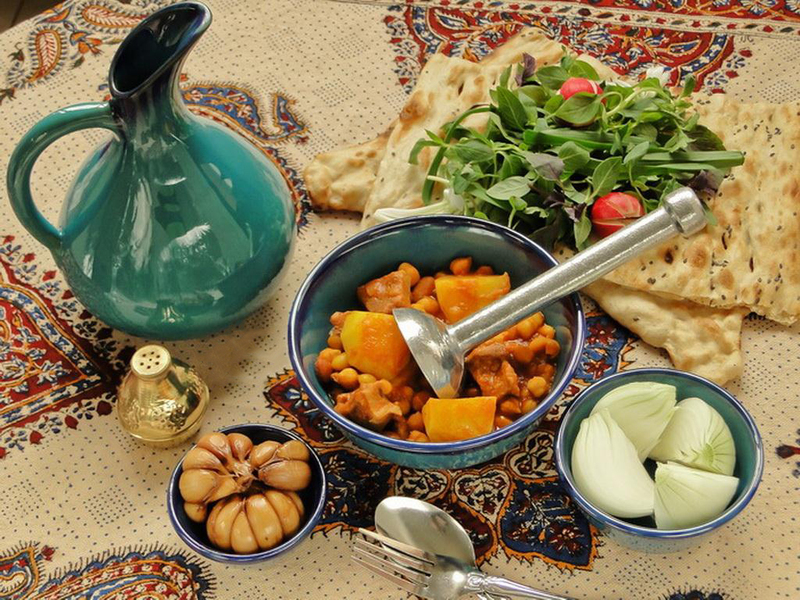 While traveling in Iran during especial months, do not miss the chance of tasting tasty Iranian food.